The Syrian armed opposition delegation at the Astana peace talks insists on President Bashar Assad stepping down as part of a political settlement for the country's six-year conflict, delegation head Mohammed Alloush said Tuesday. ASTANA (Sputnik) — Earlier, Ahya al Aradi, advisor to the Syrian opposition delegation at the Astana talks, stated that the fate of Syrian President Bashar Assad is not on the agenda of Syrian talks in Astana. "The opposition confirms that our strategic choice is an achievement of a just political solution… through the resignation of Bashar Assad and his inner circle," Alloush told reporters. An international meeting on the Syrian settlement began in the capital of Kazakhstan on January 23 with the participation of a number of delegations, including armed opposition, Damascus, Russia, Iran and Turkey. Is White House Ready to Work With Syria's Assad in Fight Against Daesh? 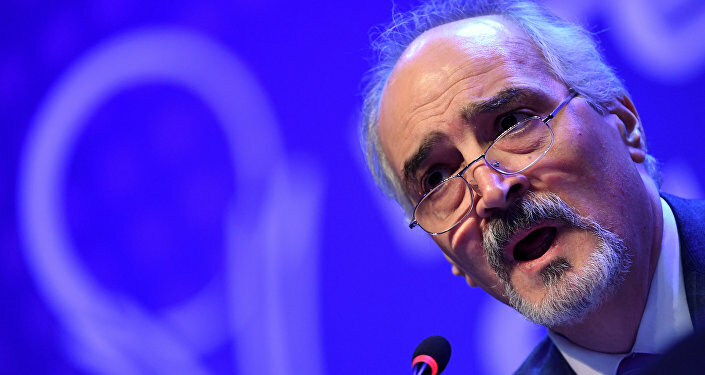 Astana Talks: What Common Interests Do Assad, Syrian Armed Opposition Have?